If you’re like me and you’ve used pretty much everything to clean your laptop, blackberry, and sunglasses, such as an old but clean t-shirt, dry hand wipes, and even a towel, but your gadgets don’t seem clean enough or there’s residue, then you have to try Toddy Gear: Toddy Smart Cloth. 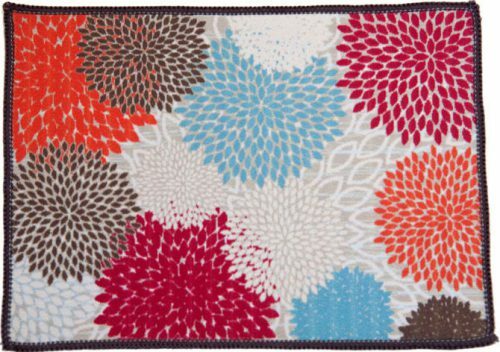 This fashionable handcrafted cloth is available in 42 prints that makes cleaning fun. Use the plush microfiber material on one side to clean your phone and laptop screens, iPad, lenses, etc. and the patterned silk microfiber on the other side to buff and polish. This is also small enough to carry around with you. ToddyGear.com, $9.99 (5×7) $19.99 (3 pack-5×7).